If there’s one thing we know about sushi, it’s pretty damn hard to mess up. In fact, culinary inventions like the sushi burrito and doughnut have only enhanced our sushi-eating experience to levels we didn’t know existed. 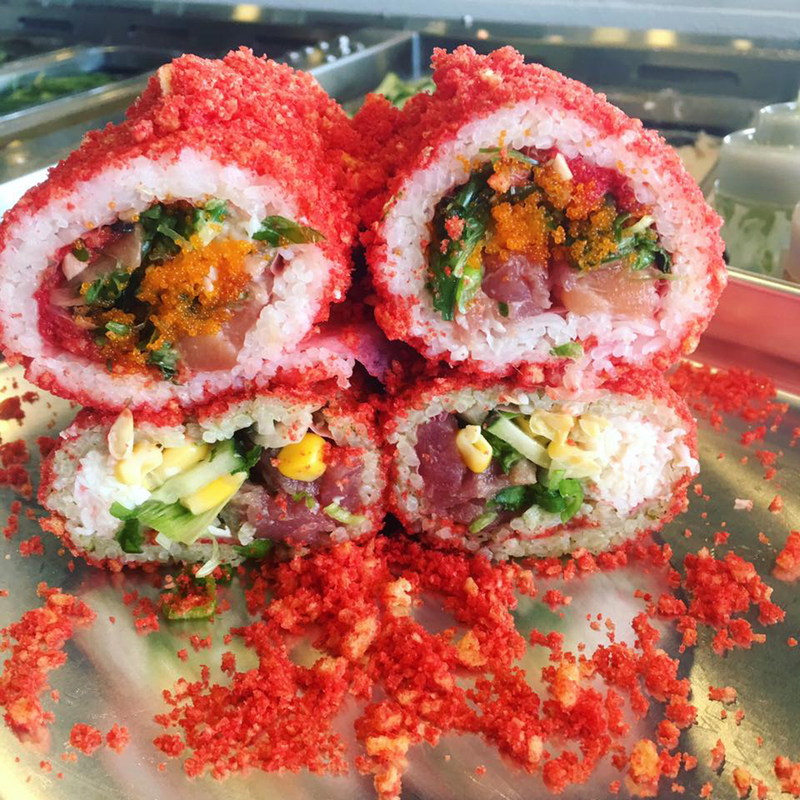 Thus, it should come as a shock to nobody that these sushi burritos wrapped in flamin’ hot Cheetos are now a delicious thing (according to Instagram, at least). Because who wouldn’t want to add another crunchy texture, presumably like that of tempura or panko, to their rice and raw fish? You also get the benefit of added heat, and a heat that’s far different than wasabi. You'll undoubtedly end up with red fingers, but it's probably worth the trouble. So where can you get your hands on this trendy delicacy? The Low-Key Poke Joint in Orange County, which also offers lime corn, quail egg and shallots as other unique toppings. Brb. Flying to California and spending all of our lunch money.